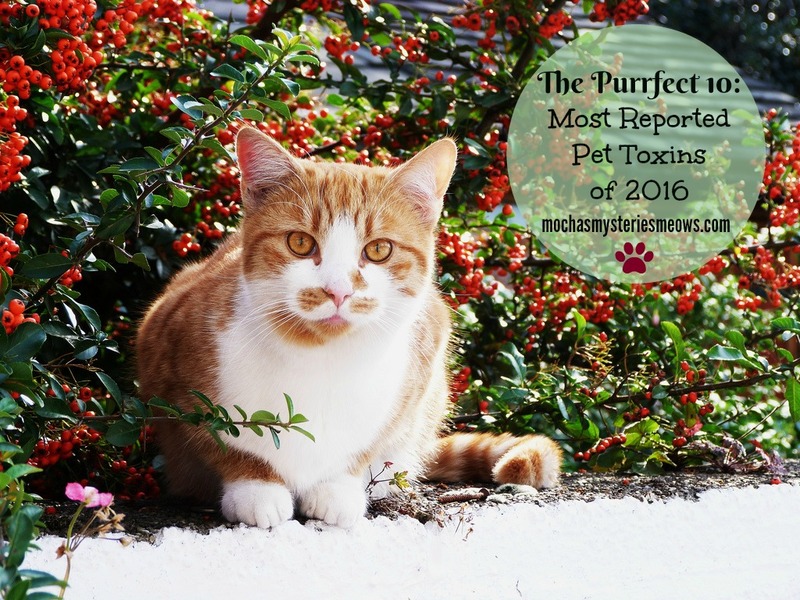 Every year the ASPCA Animal Poison Control Center (APCC) releases its top 10 list of toxins pets ingest. The 2016 list was just released and is based on 180,639 calls to their hotline about potential poisonings, which APCC veterinarians put into categories that callers were the most concerned about. What better time than Poison Prevention Week to share the list? 1) Human prescription medications (16.95% of cases) The top three substances reported were antidepressants and heart and ADHD medications. Anyone who takes medication prescribed for someone else puts themselves at risk of illness or even death, and the same holds true for our pets. Don't keep medicines on the counter where your cat or dog can get into it thinking those little tablets are a treat, and if you drop a pill locate it immediately! 2) OTC products (16.65% of cases) Ibuprofen tops the list because many brands have a sweet outer coating that makes it appealing to pets. A single extra-strength pill aspirin found in every home's medicine cabinet can be deadly to your cat. Acetaminophen (Tylenol®), a very common pain killer, reaches the blood stream within 30 minutes and can damage the liver and red blood cells very quickly. Cats are 7 to 10 times more susceptible to acetaminophen toxicity than dogs. 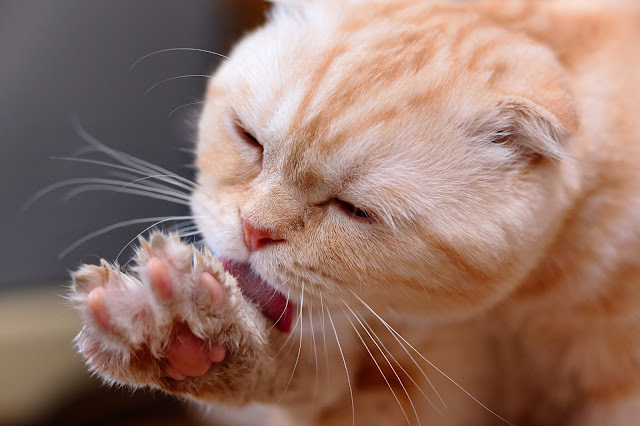 Even topical creams for pain relief have recently been found to be dangerous, putting cats in jeopardy just by rubbing up against you and then bathing themselves or licking the area of your skin after it's been applied. And with summer coming check out this informative article from our friends at A Tonk's Tail about the hazards of sunscreen. 3) Food (9.84% of cases) It's natural to want to share a bite of what we're eating with our pets, but there are some foods they should never come into contact with. 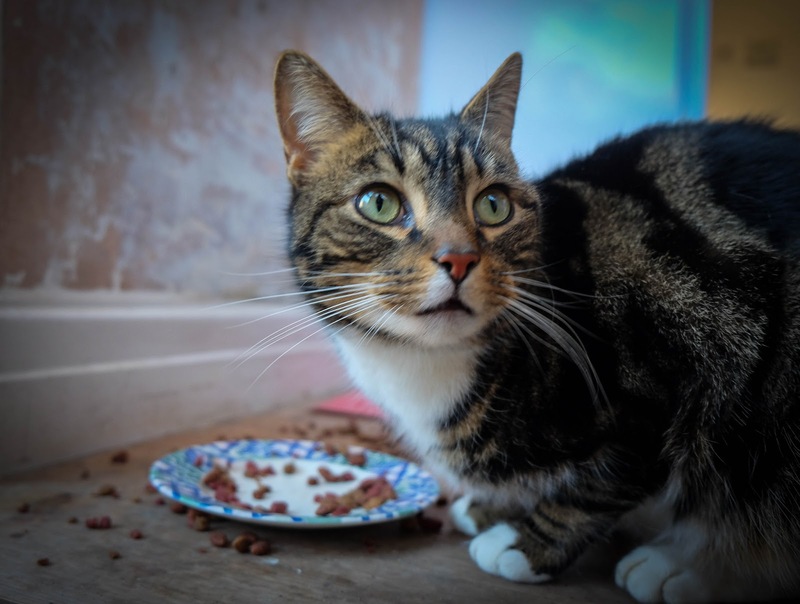 A cat's digestive system can be upset by any food that isn't formulated for them, even a pantry staple like canned tuna fish. A more complete list from petMD can be found here. 4) Veterinary products (9.26% of cases) Both over the counter supplements and prescribed medication that has been flavored in a compounding pharmacy are purposely made to taste better so our pets will more readily accept them. On the flip side it can also encourage them to sneak some when they shouldn't or run the risk of other furry family members getting their paws into it. Use the utmost caution with any medication or supplement you give your pet. 5) Household items (8.36% of cases) Keep paints, glues, cleaning products like bleach, detergents and disinfectants away from your pets. An especially deadly toxin in the winter is antifreeze. Remember, any puddle that your cat drinks from can contain hazardous run-off! 6) Chocolate (7.9% of cases) Cats are less prone to eating chocolate than dogs since they are unable to taste anything sweet, but it only takes a small amount to make a cat very sick and the toxic dose for cats is even lower than for dogs. The toxic agent in chocolate is a compound called theobromine, which a cat's system can't metabolize like a human's can. This can lead to abnormal heart rhythm, tremors, seizures, and death. And unlike humans where dark chocolate has health benefits, in our pets, the darker the chocolate, the more dangerous it is. 7) Insecticides (6.92% of cases) Many cat-related calls are to report that a kitty has been treated with topical flea and tick medication meant for dogs! (This actually happened to a co-worker of mine. Thankfully the two cats were saved but I have a feeling her husband, who made the near catastrophic mistake, probably saw his own life flash in front of his eyes a few times.) Always read the directions on flea and tick medications and only use the ones specifically for cats and your cat's weight. 8) Rodenticides (5.47% of cases) Rodenticides are meant to be toxic to mice and rats, but they are also toxic to our pets. At my house we use humane traps for the mice that find their way into the basement. 9) Plants (5.2% of cases) With Easter right around the corner the dangers of lilies can't be overstated. The smallest amount - even the pollen or water from the vase - can result in severe, acute kidney failure. Don't even chance bringing them into your home. A comprehensive list of toxic and non-toxic plants can be found here. 10) Garden products (2.64% of cases) Exposure to lawn chemicals can occur when your cat walks through an area that has been recently treated and then they lick their paws. Even inside cats are at risk when humans track residue in the house on our shoes. Get into the habit of removing your shoes when you go inside your home, and start using natural and organic methods to fertilize your lawn. If you ever suspect that your cat has ingested something she shouldn't have, call your veterinarian immediately. The ASPCA Animal Poison Control Center diagnostic & treatment hotline is also available 24 hours a day at (888) 426-4435. We hope you learned something new today! Do you have a topic you'd like us to cover in The Purrfect 10? Thanks for the reminders. I stopped using any household cleaners years ago that had any toxic ingredients, especially on the floors. I use organic natural plant based products or simply vinegar and water depending on the budget that month lol =) I don't want my cats or dogs having toxic chemicals on their paws ever. I also stick to African Violets, Gerber Daisies and Bamboo for plants. Great post! Excellent post. I am surprised that the #1 was human meds. It is so hard to pill a cat, I can't imagine one willingly taking one. This is the purrfect post for this week, Mudpie and Melissa! We really are loving these Purrfect 10 lists you share with us, as they are always so informative in such a fun way. We'll be happy reading any topics you choose for these. Since you asked, though, one idea that popped into my head is famous cats in literature/books. Purrs to you! My home's been poison-free since my parents moved in in 1971. My human is very careful to keep these things away from us... and you can never be TOO careful! There can never be too many reminders of things that are hazardous to us kitties. Yay...we can comment!! Great post. We also wanted to thank you for the kind comments about Cousin Trooper. He was a special ManCat and will be missed. Thank you so much for this list! Another thing to be careful with is if you buy anything from a Dollar Store or put dry food in sealed up bags - be careful where you get them... The Dollar Stores in our area use a toxic fungicide on everything including food related products. Made some kitties sick when the dry food was placed in cheap storage bags from a Dollar Store. Not to mention this fungicide can make people sick too. I don't buy any food or plastic from Dollar Stores. -Katie Kat. Silly Mommy, It's Not Sunglass Weather! WW: Which Mudpie Would You Choose?